Anna Maryina moved to the United States from Russia in 1993. Anna lives in Pittsburgh, PA. 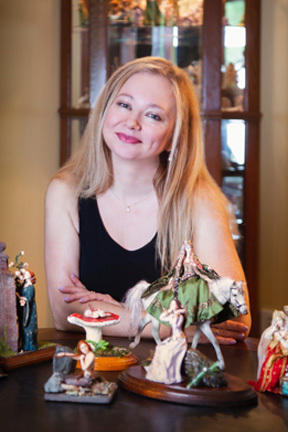 In May 2007 Anna was awarded the status of Artisan by the International Guild of Miniature Artisans organization. In July 2007 her OOAK mermaid doll won the second place in Jack Johnston's sculpting contest.